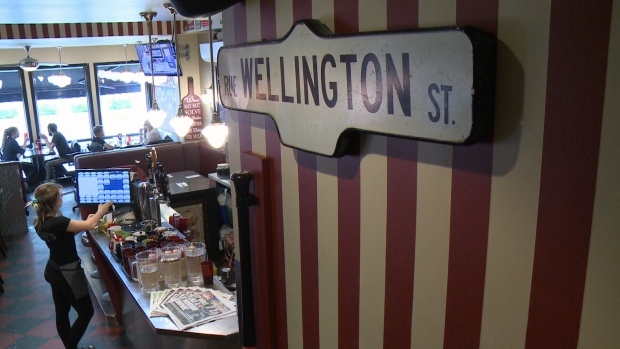 The owner of the Wellington Diner is apologizing for a two-year-old Instagram post after a recent social media backlash. In a statement, Jeffrey Frost says he shared a photo in 2016 that had been circulating online, depicting an A-frame sign that he says “perpetuated offensive stereotypes. “I deeply regret doing so and I, nor my staff, share these views,” he said. The sign board in the image–which was not outside the diner–said “Eating two strips of bacon for breakfast reduces your chance of being a suicide bomber by 100%.” It’s unclear where the photo itself originated. A similar sign made headlines in 2016 when a butcher shop in Australia used the same statement to advertise its own bacon. The Diner’s Instagram account is filled with photos of food and patrons, and the occasional meme or joke post, including other A-frame signs with irreverent messages written on them. A screenshot of the now-deleted Instagram post from the Wellington Diner had been circulating online in recent days, with a call to boycott the restaurant.